Port of Los Angeles releases prospectus in hopes of attracting private developer to execute ambitious project – just like everywhere else. SAN PEDRO — Another swath of Southern California’s waterfront will look dramatically different than it does now, as the Port of Los Angeles announced its intentions to seek a vendor for commercial development at the highly touted L.A. Waterfront project. The San Pedro project is the latest in a string of modernizations, redevelopments and revitalizations along Southern California’s urban coast. 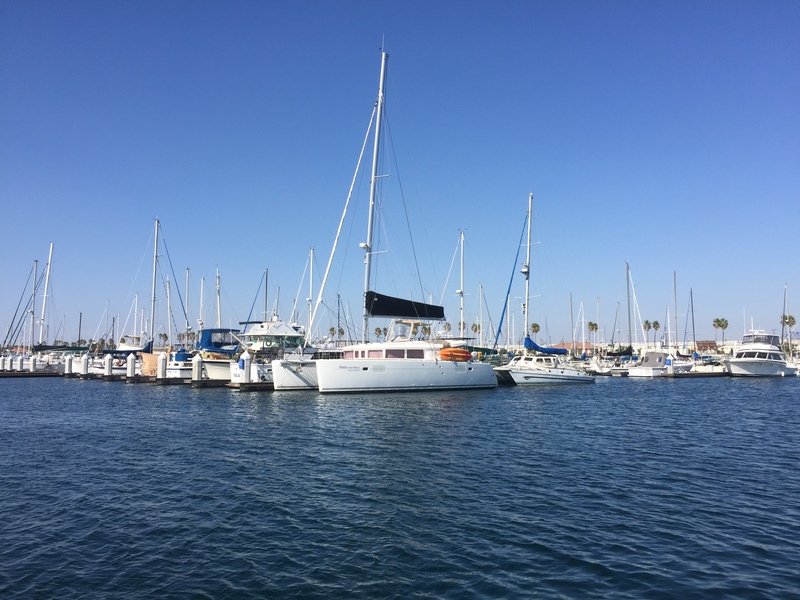 Cities, counties and port districts are already pursuing coastal redevelopments in Chula Vista, Downtown San Diego, Dana Point, Alamitos Bay Marina in Long Beach and Marina del Rey. A multi-million-dollar plan to revitalize the King Harbor area in Redondo Beach is currently in a heated legal battle and might never come online as proposed. Plans to redevelop portions of San Pedro to attract visitors, meanwhile, appear to becoming more real as the Port of Los Angeles released information on potential commercial developments for the L.A. Waterfront project. A formal Request for Qualifications (RFQ) and Request for Proposals will follow later this year. The port district’s Waterfront Commercial Development Group specifically released a four-page prospectus, Aug. 6. The prospectus provides potential development vendors with details about the L.A. Waterfront opportunity. Language in the prospectus is as rosy as similar project proposals in Dana Point (harbor revitalization) or San Diego (Chula Vista Bayfront or Seaport Village projects). Changes are likely to be implemented at marinas attached to or in close proximity to the many waterfront redevelopment projects on tap. Plans to bring the new L.A. Waterfront online have already resulted in older portions of the harbor area being uprooted and removed. A marina and several restaurants in the Ports O’ Call district of San Pedro no longer exist, for example. The area will soon be converted into a public marketplace, which city officials hope will be a major draw for regional visitors and out-of-town tourists. Port district staff added they are also seeking a full-service marina-operating tenant. 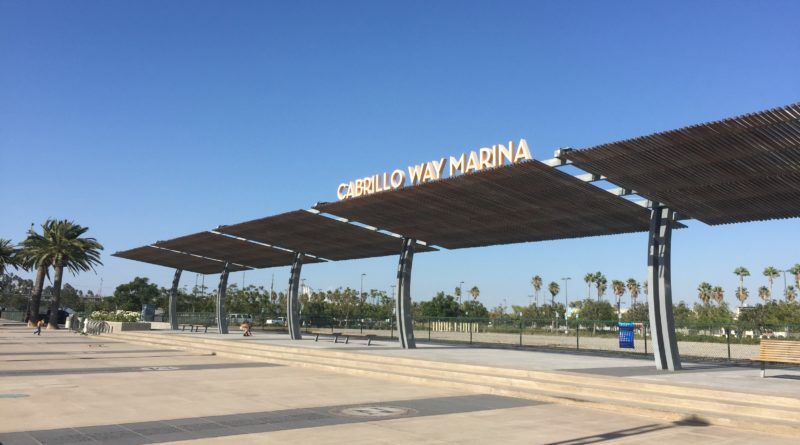 Cabrillo Way Marina is currently home to 700 wet slips, 325 dry boat storage stalls, three boat hoisting cranes and a pompous station. Westrec Management currently manages the marina. “The port seeks to sell the marina infrastructure assets and change the marina operator relationship from being an owner with a fee operator to being a landlord (ground and water lessor), consistent with the port’s relationship to operators of other marinas in its portfolio,” port staff stated in its prospectus. In all about 87 acres of land and water would be developed as part of the opportunity presented. The development opportunity would be located at the southwest corner of Miner and 22nd streets. “The port is open to a variety of commercial development concepts that may extend beyond current entitlements. Such opportunities may require more intensive zoning and/or phased-growth strategies,” the port district’s prospectus stated. The Port of Los Angeles prospectus added the commercial development of the new L.A. Waterfront space could open the door for a new yacht club to be established or relocated. Port staff specifically stated Los Angeles Yacht Club could relocate to the revitalized area. Executing the L.A. Waterfront project is one of two developments already underway at the Port of Los Angeles. Officials already presented general schematics for the San Pedro Public Market, which is part of the L.A. Waterfront project. Also on tap is the AltaSea project, which would ocean-related businesses, education and research to the San Pedro area. Boeing, Catalina Sea Ranch and Ocean Exploration Trust are already committed to the AltaSea project as tenants. Both projects represent more than $200 million in private investment during the next five years. The port district added it has committed about $400 million for “continued development and operations of the L.A. Waterfront,” a project boasting a strengthening of public access infrastructure at Los Angeles Harbor. San Pedro Public Market, meanwhile, would replace restaurants such as Ports O’ Call and Acapulco with dining, entertainment, recreational and shopping elements. SpaceX is also expected to develop a presence at the new L.A. Waterfront. Port district staff is certainly making every effort to present impending plans to redevelop or revitalize its waterfront, no different than the other agencies up and down the Los Angeles, Orange County and San Diego coast. The curious yet-to-be answered question, of course, is whether such projects are good or bad news for boaters.